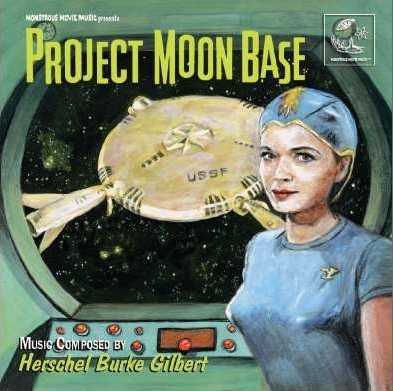 Project Moon Base & Open Secret [MMM-1960] are two thrilling scores by the vastly-underrepresented composer Herschel Burke Gilbert (The Rifleman, While the City Sleeps, Nightmare). 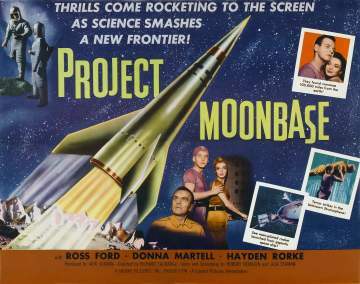 Project Moon Base is one of the early sci-fi Theremin scores, and this important 1953 work is a triumph of brilliance over budget and is long overdue. The score showcases Gilbert’s creativity and flair for orchestration, with an electric string quartet, prominent percussion and harp, and the mysterious sounds of the Theremin to perfectly capture this adventure in space. For kaiju fans, some of this score can be heard in the 1959 U. S. version of Toho’s Godzilla’s Counterrattack, better known as Gigantis, the Fire Monster. 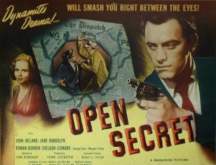 As a bonus, we’re also including the score from the 1948 crime drama Open Secret, featuring a powerhouse Gilbert soundtrack that was so effective that some of its cues became part of the music library used in the first (and best) season of the legendary George Reeves’ 1950s TV series Adventures of Superman. As if that’s not enough, the CD also contains a healthy dose of bonus tracks in terms of thematically-related material not used in the picture. Both scores are on a limited-edition CD release of 1,000 copies. The 16-page liner book contains never-before-seen photos of the original music manuscripts, never-before-heard jokes about the motion picture, and it’s topped off with gorgeous original cover art by Robert Aragon, featuring the stunning Donna Martell as the astronaut every male would like to be lost in space with!